Dean DeBloiseand and Jay Baruchel Talk Dragons! Finally, the highly anticipated sequel How To Train A Dragon 2 opens this summer! Set five years after the original, Viking teen Hiccup and Toothless discover a secret ice cave housing hundreds of new wild dragons and the mysterious Dragon Rider. 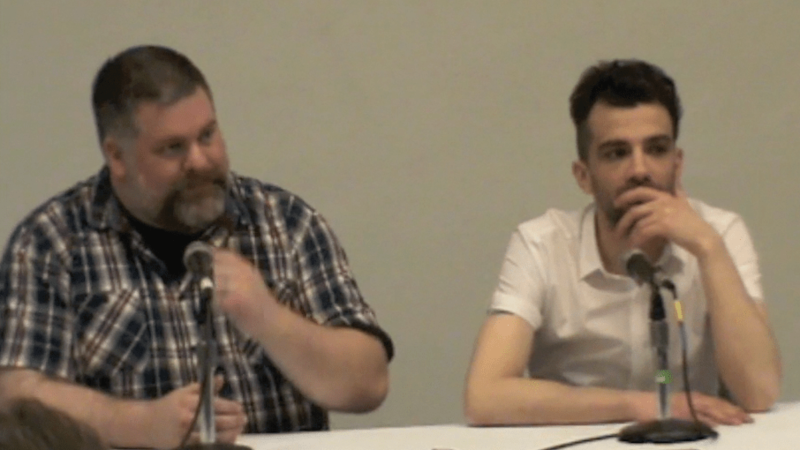 Director/writer Dean DeBloise and actor Jay Baruchel (Hiccup) talk dragons and more! From Dean noting the similarities in Hiccup and actor Jay, to Jay’s discussion of playing Hiccup in both the movie and tv version, you get a behind the scenes look at the latest installment of our favorite dragon film series. Previous PostEM at Creative Coalition Gala!Next PostThey’re Dead, Jim! Thoughts On 22 Cancelled Shows!